Perfect!! 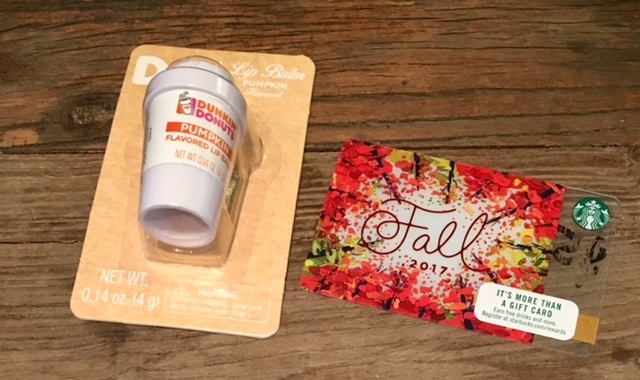 Saw that little Dunkin Doughnut Lip balm but mine was sold out...so cute!!! And so sweet she sent you goodies for the girls!! I can't wait to make the houses with the girls. I think they will love that. Could we be any more alike..I told Jess my favorite colors were Pink and gold, and of course creamer is a must and a latte from starbucks is my jam! :) Love that mug, how cute! And so sweet she sent those halloween houses for the girls. this was such a fun exchange! Love the mug she sent! Adorable. I need to find this chapstick. 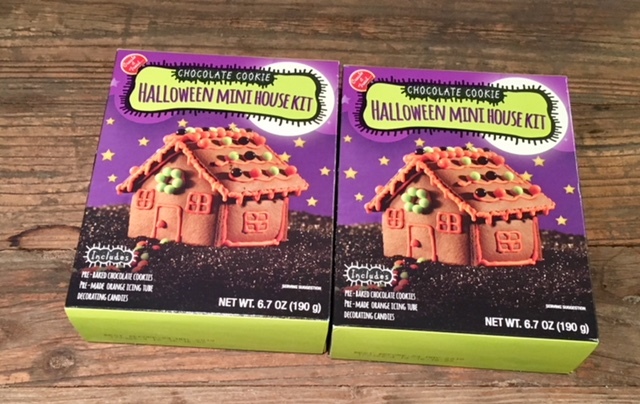 so sweet that she sent the girls the Halloween houses. They will have a blast with those. It was really nice of her to think of my girls. I can't wait to make the houses with them. So wonderful cute, what a fun idea!!!! I wanna join in for a Christmas one :)! So sweet that she sent gifts for the girls too! 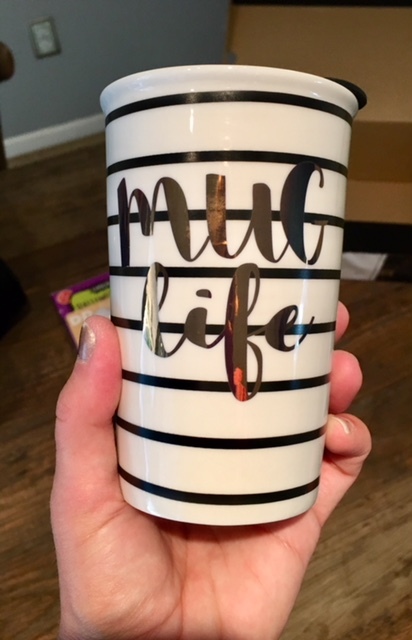 Love the mug-and that is so sweet she added something for the twins! Aw I love that she sent the girls a treat too! Such a fun exchange, thanks for cohosting! That mug is perfect! 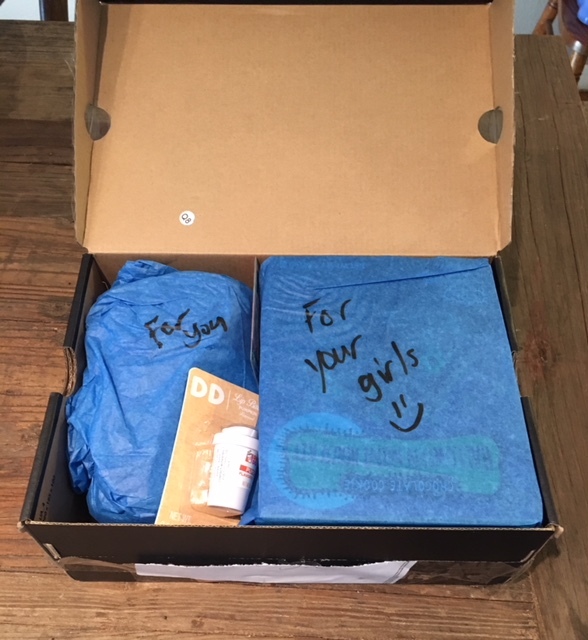 That's so sweet that she sent gifts for the girls! What a cute mug! That was so sweet she sent something to the twins. So thoughtful. I signed up but sadly my match never responded to me. Such is life, next time. How perfect is that? I didnt even know they had gingerbread halloween houses. I need one of those myself!!! Oh my gosh, what a fun exchange! 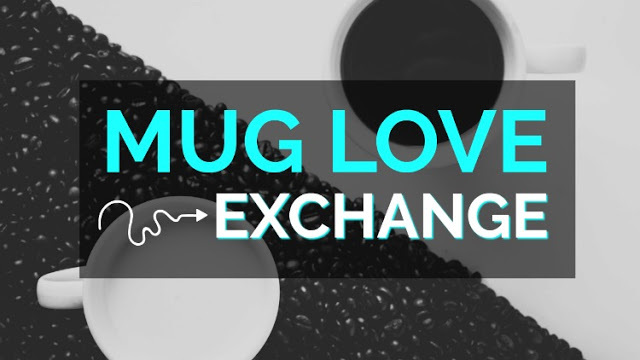 I have a little-known obsession with mugs, and this is just perfect! That mug is so cute!! She got you some great stuff! OMG that's the cutest thing! That lip gloss, though! I love that mug!!!!! I love the stripes. :) Thanks for co-hosting! What a fun mug!!! And so sweet with the gift for the girls too. Such a fun exchange. That pumpkin chapstick is PERFECT for this exchange... so cute!